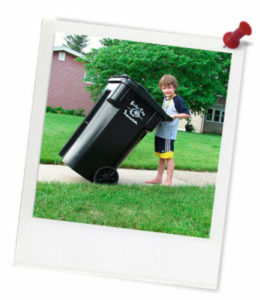 Quick summary: Students plan and complete a project that will reduce waste in either their school or the local community. Students understand that everyone in a school produces solid waste. Students recognise that the school is already taking steps to reduce the amount of solid waste, but there are steps that can be taken to cut this waste even further. Students working in groups can initiate and complete projects that will help cut the waste in either the school or local community. This lesson can be used for all learning areas and year levels across the Australian Curriculum. Time required: depends on the chosen project. Level of teacher scaffolding: Low – advisory. Resources required: Art materials, computer with internet access, other materials as required, Cut the waste project: Planners. Safety: Students review Class Waste Safety Code. Teacher checks the students’ plans for safety considerations before students commence their projects. Teacher supervises the projects. Students choose either a school or community waste project. can be completed by the end of the school year. can help reduce the amount of waste in the school. inspires other students to think about the 4Rs and composting. will not cost too much (students will need to have a plan to raise money for the project). will not harm other students. Students choose a possible project and write a proposal, using the table in Cut the waste project: Planners. Encourage students to take on significant projects that will have a real impact on the amount of waste produced by the school or the community. See the list below for some examples of student projects. Building a three bay compost bin for the school’s garden waste. 2.What is the purpose of your project? 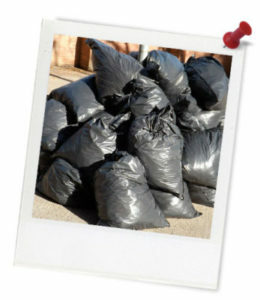 To treat the school’s garden waste on site, rather than have it sent off site. 3. What are some details of the project? The bays will be built from timber. The three bay compost bin is a very versatile system that allows garden waste to be broken down and then used on the school gardens. The first bay holds fresh garden waste, the second holds decomposing waste and the third fully mature compost. Hinged lids prevent the material from drying out in hot weather and from getting too wet during rain. 4. What research have you done so far?